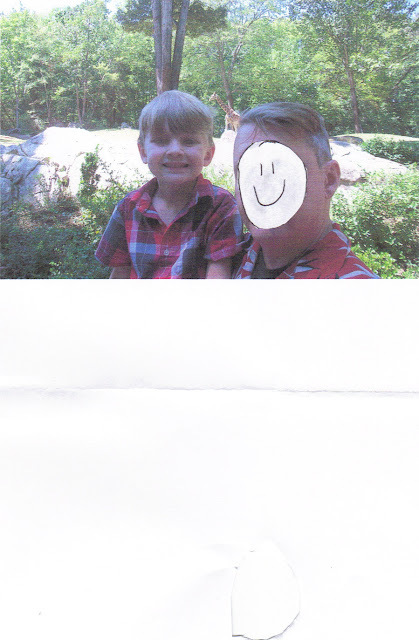 Recently, AngryPilotWife, PilotHusband, and our 6 year old son, took a trip to the North Carolina Zoo. This was a miracle because it required PilotHusband to not only turn off the Military Channel and get off the sofa, but also drive over two hours to get there. Pilothusband does not drive anywhere but the Charlotte airport. I took great pleasure in counting which one of my two "boys" said "How much further?" the most. Final score: six year old, 22 times. PilotHusband, 46 times. The zoo was fun. But somewhere between the lions and the gorilla exhibit, I got a bad case of the giggles. I suddenly got this image of a habitat for Air Line Pilots and I couldn't shake it. Just imagine it! The pilot habitat would be presented in two sections. In the first, pilots would be viewed in their natural home habitat... laying on the couch, drinking beer, watching Fox News in the morning and the Military Channel for the rest of the day. Visiting school children could purchase small bottles of Leffe from food dispensers to feed the pilots. Oh how they would squeal with delight when one of the pilots actually moved off of the sofa to check AirlinePilotCentral on the computer. I can hear it now... "Mommy! Did you see that one move?" In the next viewing area, pilots could be displayed in their work habitat. I envision a crew room with happy chubby pilots laying in LazyBoy chairs watching FoxNews. How delighted zoo visitors will be when a pilot occasionally gets up to check in on the computer or scratch something. In this viewing area, children could purchase small cups of hot sauce from a dispenser to feed the pilots. The pilots could add the hot sauce to the food court fare provided by the zookeepers, much to the delight of onlookers. And what a magical moment it would be to actually witness a silverback pilot showing off his new Rolex to the rest of the herd! At the end of our adventure, I purchased a membership to the NC Zoological Society. I can't wait to fill out the suggestion card!